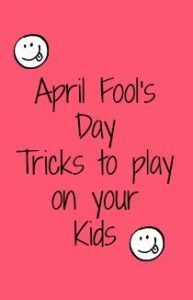 My introduction to April Fools Day Tricks began 39 years ago when my father phoned my grandmother announcing the birth of her 4th grandchild. My grandmother laughed and said “April Fools”. Well this was not a joke but my birthday!! I can remember playing jokes as early as 3rd grade on my teacher. I remember it was soo good she actually got mad, maybe because she thought she might have choked. My mother had some old faux grapes around the house and knowing my teacher was a health nut, I washed a small bunch and placed them still a bit damp into a plastic baggie. I then offered her one at snack time…well you can probably see how this ended. I was thinking this year I might do this to my kids in their lunch box as I have some fake fruit sitting in a bowl….Can you tell which is not fake? Last year my son’s teachers were even fooled with this April Fool’s Day Tricks. 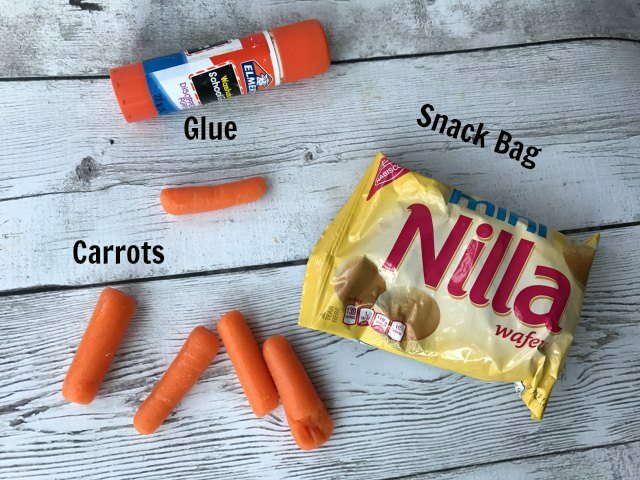 Fill a sugary snack bag with a healthy one. The teachers tried to take it away and Charlie said “why it is just carrots!! 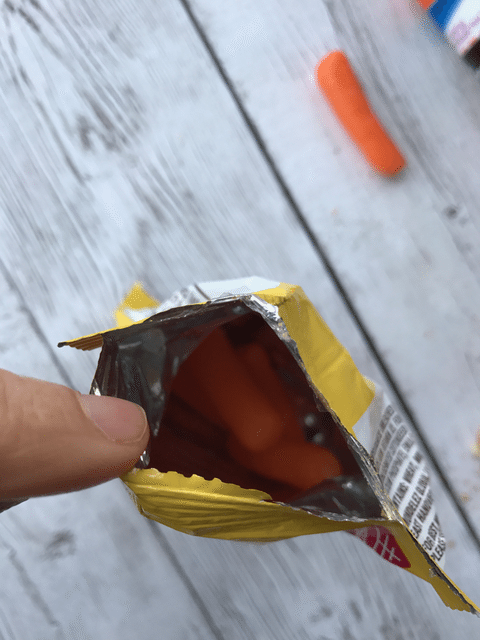 Just open the snack bag carefully at one of the ends and take out the snack. 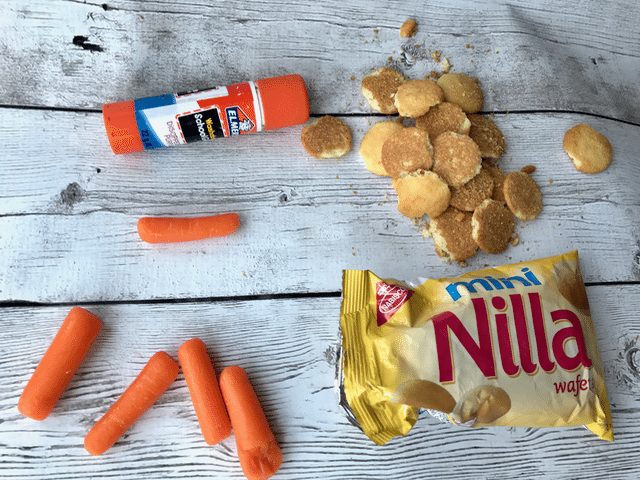 Replace the snack with Veggies or any other fun subsitute food. Be sure it is nice and filled. 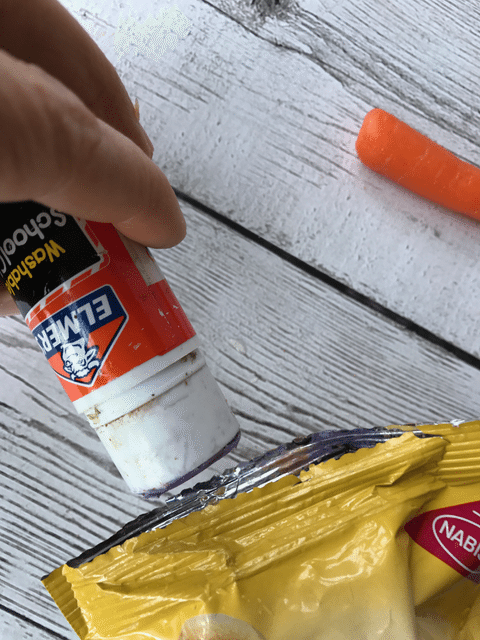 Reseal the bag with glue or double stick tape. 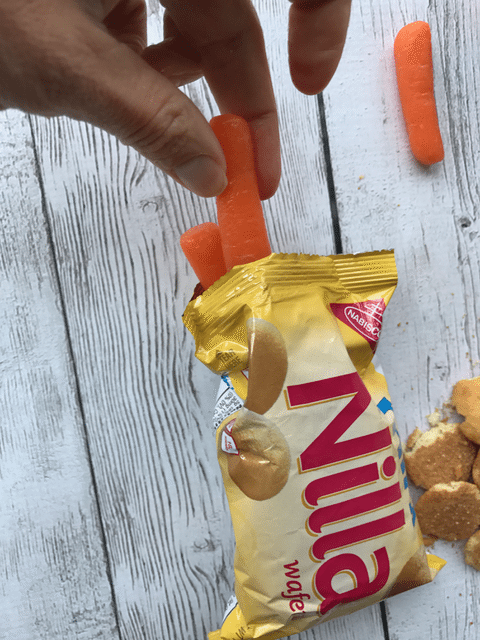 Seal it close and put it in your child’s lunch box for a good laugh. Too bad you won’t be there to see the reaction. At breakfast put a few drops of food coloring at the bottom of their cereal bowls, fill it with cereal and when they come down for breakfast and you put the milk in they will be surprised by the color change!! There are so many good looking gummy candies out there. How about making a fruit salad and adding a bug either edible or toy. It will probably make them jump at first. Or put a whole inside of an apple and have a gummy worm stick out. I tried this last year but I think by the time they went to eat it the worm had fallen into the lunch box. This year I was thinking I might try to change out the Smucker’s Peanut butter sandwiches with a turkey one they I cut out and crimp the edges with… Will let you know how it works out. 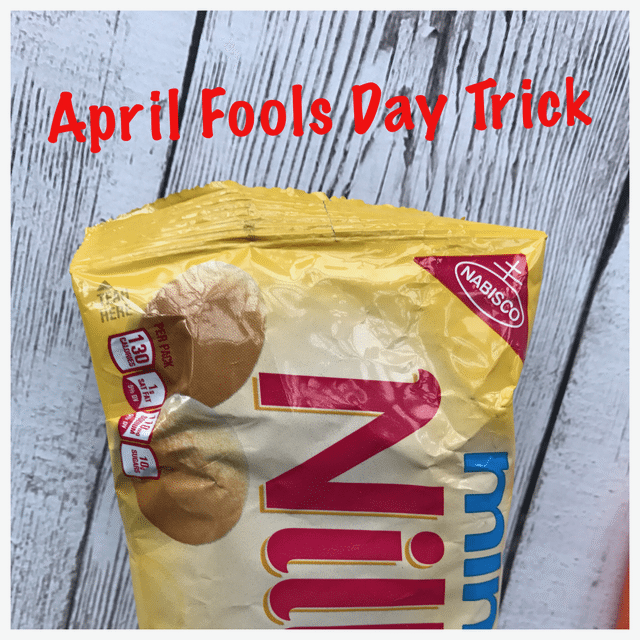 We also did some fun April Fools Day Pranks with Popcorn. 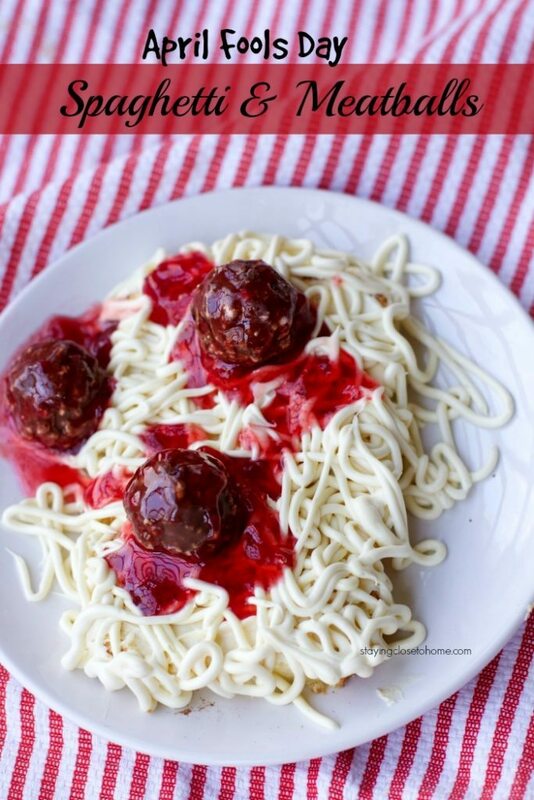 or this fun April Fools Day Dessert or Dinner Idea! 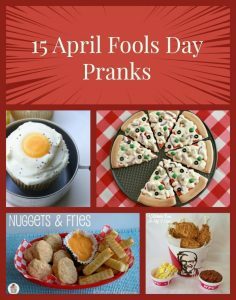 Would love to hear what your April Fool’s Day Tricks are this April Fool’s Day….